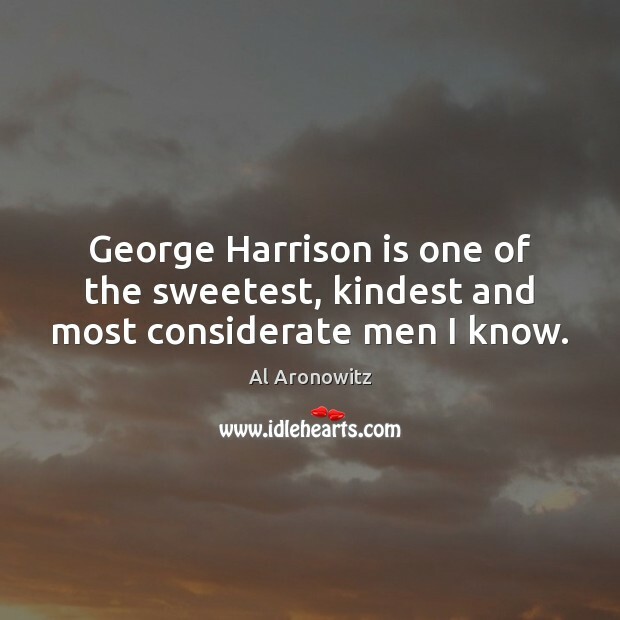 Enjoy the best inspirational, motivational, positive, funny and famous quotes by Al Aronowitz. Use words and picture quotations to push forward and inspire you keep going in life! 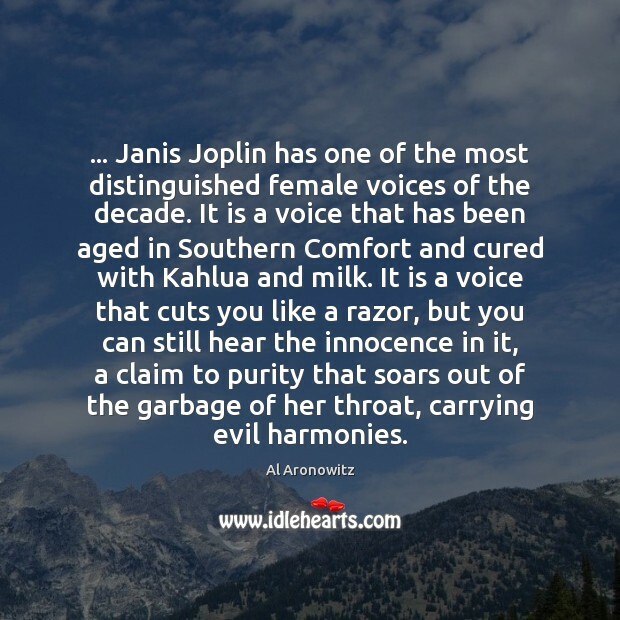 ... Janis Joplin has one of the most distinguished female voices of the decade. It is a voice that has been aged in Southern Comfort and cured with Kahlua and milk. It is a voice that cuts you like a razor, but you can still hear the innocence in it, a claim to purity that soars out of the garbage of her throat, carrying evil harmonies. George Harrison is one of the sweetest, kindest and most considerate men I know.